This breed is one of America’s favorite breeds and for good reason. They are such gentle dogs and are a wonderful pet for young families with children. As a matter of fact the breed is a perfect fit for ANY situation. Both males and females are sweet, docile animals. Golden Retriever dogs are even happy to walk into a veterinarian’s office. Happy go lucky, they greet the doctor strutting themselves into the appropriate exam room. I remember one particular situation in my Ohio practice where I was finished working on a Golden Retriever in an exam room than walked out with the patient into the waiting room. Low and behold, there were two other Golden Retriever dogs in the waiting room waiting their turn! For a veterinarian, it was like dying and going to heaven! Pets always sell things on television. Golden Retriever dogs have always been used to sell baked beans! Duke has been a canine movie star for many years! As their name implies, the breed will retrieve anything! In the field, that would mean a bird. In the domestic home environment, that would be the morning newspaper than gently opening its mouth to release the prize. Golden Retriever dogs need lots of running and exercise to be active. 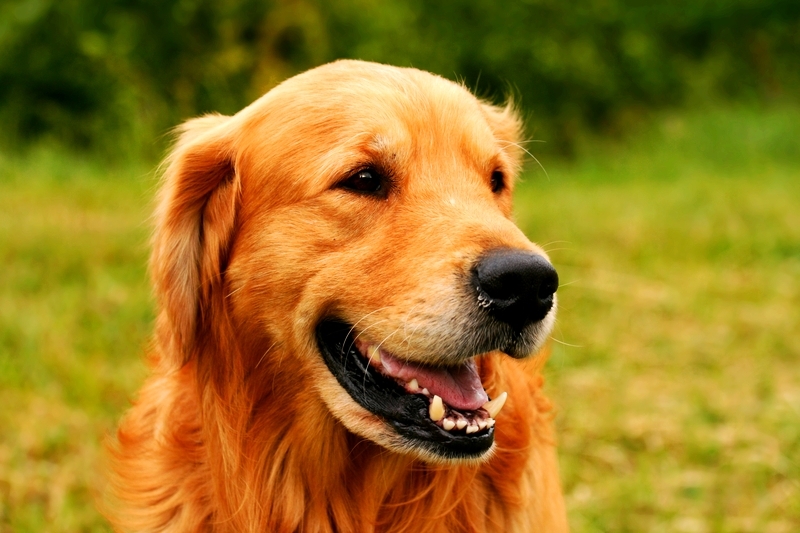 From a medical perspective, Golden Retriever dogs share one big problem and that is their predisposition to seizures. Seizure activity can be caused by unknown causes (idiopathic), chemical imbalances, low blood sugar, low calcium, brain tumors and many other possibilities. Most treatments are aimed at finding the root cause of the disorder and treat accordingly. I have treated so many of these dogs for that disorder. The majority are put on an appropriate anti seizure drug and do well. Golden Retriever dogs also develop horrible ear infections due to floppy ears inhibiting air circulation and swimmers ear due to moisture accumulating in the ear canal after swimming in ponds and pools. As they age, low thyroid hormone levels and hip dysplasia are common but easily diagnosed and treated. Overall, the Golden Retriever is a gift from God! Learn more about the breed at Animal Planet’s® Dog Breed Selector.